Listen up, coffee lovers: You might think you’ve tried all the healthy, cutting-edge versions (fermented, Bulletproof, egg), but even the most-buzzed caffeine fanatics haven’t gotten their hands on every noteworthy brew. With National Coffee Day right around the corner (September 29! ), there’s no better time to expand your java horizons—especially if you’re able to do it in America’s leading coffee metropolis. After crunching data from the 100 largest cities in America, factoring in the number of cafés per capita, coffee costs, and beyond, WalletHub determined that the locale with the strongest coffee scene is none other than New York City (aka Buddy the Elf was right! ), taking the spot of last year’s winner Seattle…i.e., where Starbucks originated. 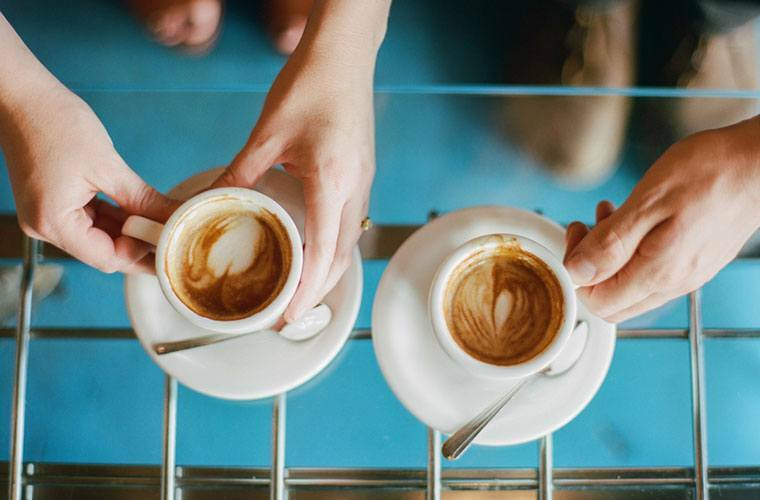 Bottoms up: These are the top 10 coffee cities in America. We may have lost our tarp during the wind storm but we’re still standing solid, see you soon coffee worshippers. One small step for the environment. #reuse . #becool . #coffeedrinker . New York City’s first dog café is here—and you have to see it to believe it. And if you’re wondering what happens when you cut coffee out of your diet, here’s what the experts say. Originally published on September 26, 2017; updated on September 25, 2018.